It's nearly the end of another banner year for humanity, which seems determined as ever to destroy the good things it has achieved. Here's hoping certain world 'leaders' have their Scrooge moments sooner rather than later. One positive thing we can all do is bring a little more science into the world. And I don't just mean for the scientists you already know. Let's infect everyone we can find! Maybe your niece will one day detect a neutron star collision in the Early Cretaceous, or your small child's intuition for randomness will lead to more breakthroughs in quantum computing. There's surely no better way to discover the wonder of waves than to build a seismometer. There are at least a couple of good options. I built a single component 10 Hz Raspberry Shake myself; it was easy to do and, once hooked up to Ethernet, the device puts itself online and starts streaming data immediately. The Lego seismometer kit (above right) looks like a slightly cheaper option, and you might want to check that they can definitely ship in time for Xmas, but it's backed by the British Geological Survey so I think it's legit. And it looks very cool indeed. As I mentioned last year, I love globes. We have several at home and more at the office. I don't yet have a Moon globe, however, so I've got my eye on this Replogle edition, NASA approved apparently ("Yup, that's the moon alright! "), and not too pricey at about USD 85. They seem to be struggling to fill orders, but I can't mention globes without mentioning Little Planet Factory. These beautiful little 3D-printed worlds can be customized in all sorts of ways (clouds or no clouds, relief or smooth, etc), and look awesome in sets. 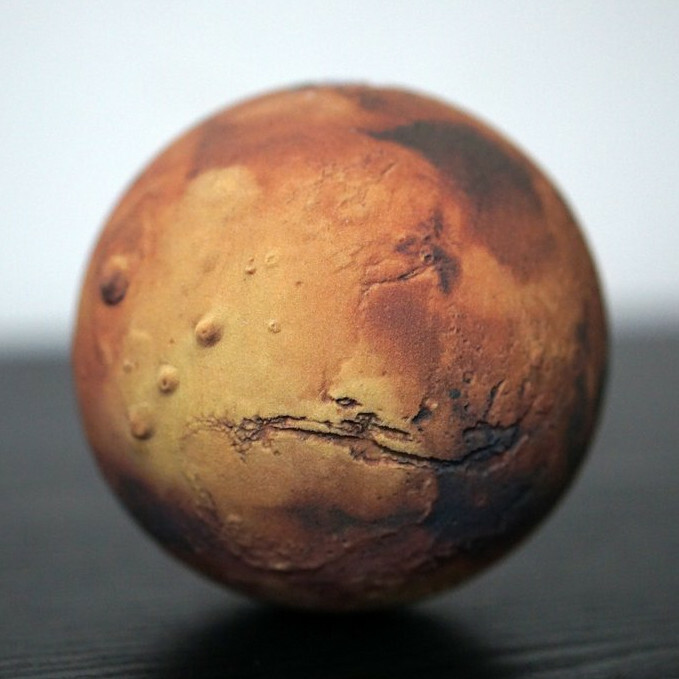 The good news is that you can pick up LPF's little planets direct from Shapeways, a big 3D printing service provider. They aren't lacquered, but until LPF get back on track, they're the next best thing. OK, some of them might make your house look a bit... Bond-villainy. If you prefer the more classical imagery of geology, how about this Ancient Dorset duvet cover (USD 120) by De la Beche? I love this tectonic pewter keychain (below, middle) — featuring articulated fault blocks, and tiny illustrations of various wave modes. And it's under USD 30. A few months ago, Mark Tingay posted on Twitter about his meteorite-faced watch (below, right). Turns out it's a thing (of course it's a thing) and you can drop substantial sums of money on such space-time trinkets. Like $235,000. 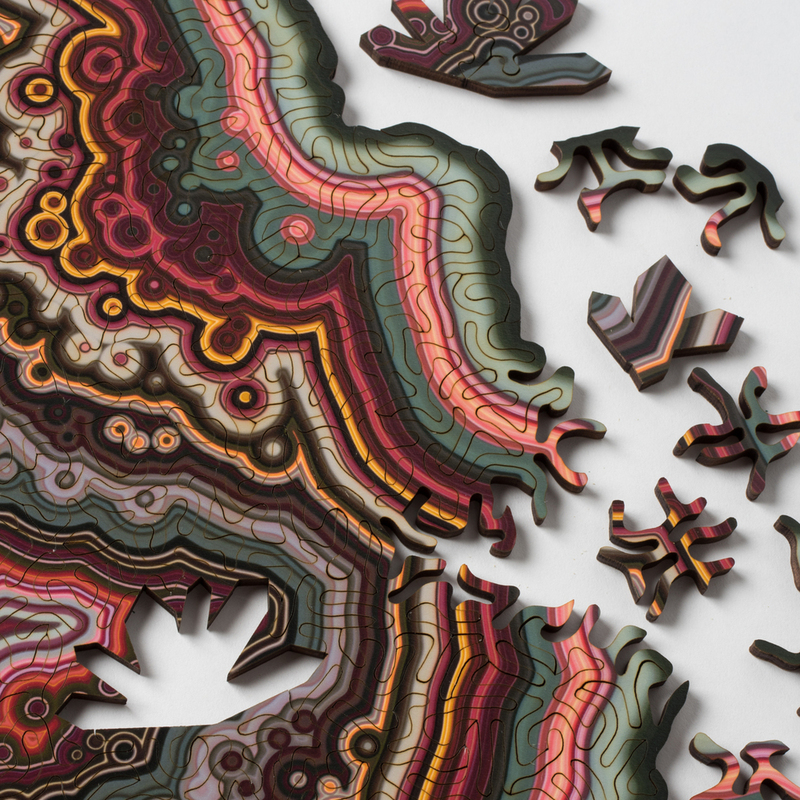 These are spectacular: randomly generated agate-like jigsaw puzzles. Every one is different! Even the shapes of the wooden pieces are generated with maths. They cost about USD 95, and come from Boston-based Nervous System. 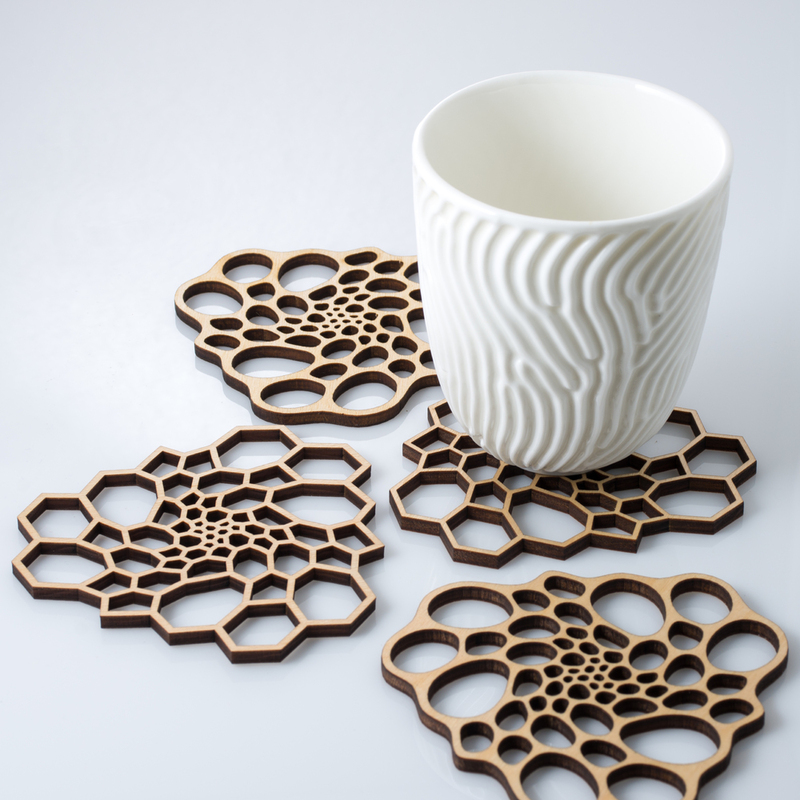 The same company has lots of other rock- and fossil-inspired stuff, like ammonity jewellery (from about USD 50) and some very cool coasters that look a bit like radiolarians (USD 48 for 4). You can't go wrong with books. These all just came out, and just might appeal to a geoscientist. And if these all sound a bit too much like reading for work, try the Atlas of Beer instead. Click on a book to open its page at Amazon.com. If by any chance there aren't enough ideas here, or you are buying for a very large number of geoscientists, you'll have to dredge through the historical listicles of yesteryear — 2011, 2012, 2013, 2014, 2015, or 2016. You'll find everything there, from stocking stuffers to Triceratops skulls. The images in this post are all someone else's copyright and are used here under fair use guidelines. I'm hoping the owners are cool with people helping them sell stuff! It's that time again. Perhaps you know a geoscientist that needs a tiny gift, carefully wrapped, under a tiny tree. 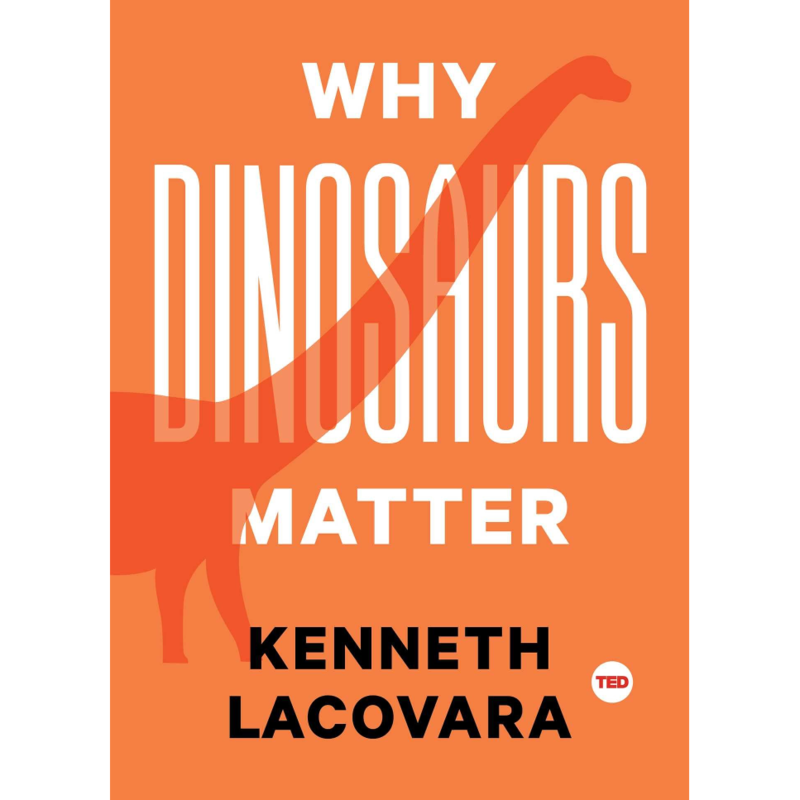 Perhaps that geoscientist has subtly emailed you this blog post, or non-subtly printed it out and left copies of it around your house and/or office and/or person. Perhaps you will finally take the hint and get them something awesomely geological. Or perhaps 2016 really is the rubbish year everyone says it is, and it's gonna be boring non-geological things for everyone again. You decide. I have a feeling science is going to stick around for a while. Get used to it. Better still, do some! You can get started on a fun science project for well under USD 100 — how about these spectrometers from Public Lab? Or these amazing aerial photography kits? All scientists must have a globe. It's compulsory. Nice ones are expensive, and they don't get much nicer than this one (right) from Real World Globes (USD 175 to USD 3000, depending on size). You can even draw on it. Check out their extra-terrestrial globes too: you can have Ganymede for only USD 125! If you can't decide what kind of science gear to get, you could inspire someone to make their own with a bunch of Arduino accessories from SparkFun. When you need something to power your gadget in the field, get a fuel cell — just add water! Or if it's all just too much, play with some toy science like this UNBELIEVABLE Lego volcano, drone, crystal egg scenario. Just because you're at home doesn't mean you have to stop loving rocks. Relive those idyllic field lunches with this crazy rock sofa that looks exactly like a rock but is not actually a rock (below left). Complete the fieldwork effect with a rainhead shower and some mosquitoes. No? OK, check out these very cool Livingstone bouldery cushions and seats (below right, EUR 72 to EUR 4750). If you already have enough rocks and/or sofas to sit on, there are some earth sciencey ceramics out there, like this contour-based coffee cup by Polish designer Kina Gorska, who's based in Oxford, UK. You'll need something to put it on; how about a nice absorbent sandstone coaster? T-shirts can make powerful statements, so don't waste it on tired old tropes like "schist happens" or "it's not my fault". Go for bold design before nerdy puns... check out these beauties: one pretty bold one containing the text to Lyell's Principles of Geology (below left), one celebrating Bob Moog with waveforms (perfect for a geophysicist! ), and one featuring the lonely Chrome T-Rex (about her). Or if you don't like those, you can scour Etsy for volcano shirts. You're probably expecting me to lamely plug our own books, like the new 52 Things you Should Know About Rock Physics, which came out a few weeks ago. Well, you'd be wrong. 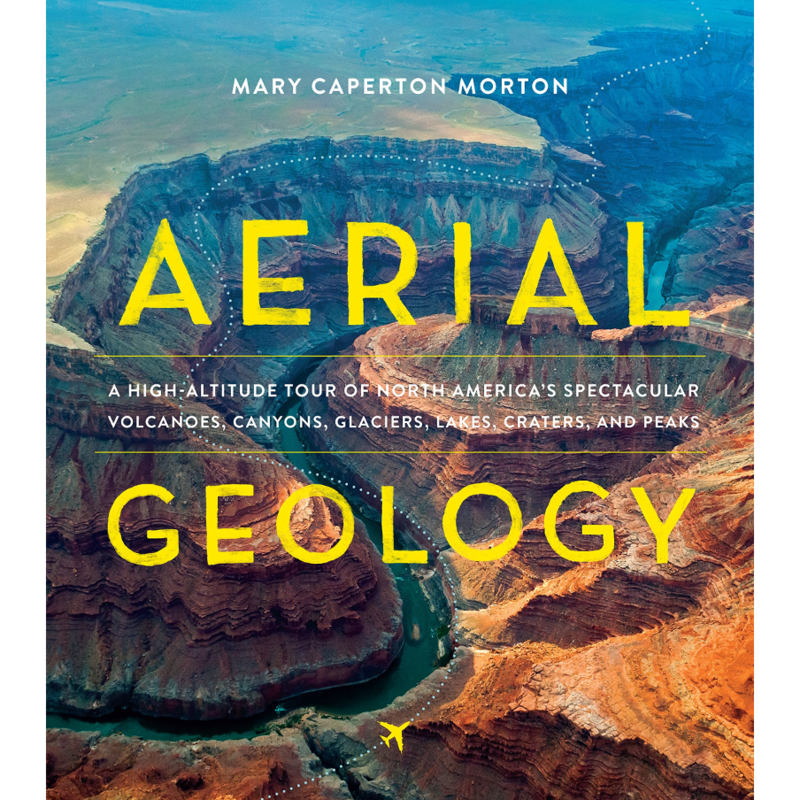 There are lots of other great books about geoscience out there! For example, Brian Frehner (a historian at Oklahoma State) has Finding Oil (2016, U Nebraska Press) coming out on Thursday this week. It covers the early history of petroleum geology, and I'm sure it'll be a great read. Or how about a slightly 'deeper history' book the new one from Walter Alvarez (the Alvarez), A Most Improbable Journey: A Big History of Our Planet and Ourselves (2016, WW Norton), which is getting good reviews. Or for something a little lighter, check out my post on scientific comic books — all of which are fantastic — or this book, which I don't think I can describe. If you're still at a loss, you could try poking around in the prehistoric giftological posts from 2011, 2012, 2013, 2014, or 2015. They contain over a hundred ideas between them, I mean, come on. Still nothing? Nevermind, dry your eyes in style with one of these tissue box holders. Paaarp!